Colorado’s U.S. Senate seat has suddenly become the booby prize for Democratic politicians who can’t seem to get elected to other higher offices. Andrew Romanoff on Monday is expected to be the latest among many failed back benchers to announce his 2020 challenge to Republican U.S. Sen. Cory Gardner. It’s been a decade since Romanoff was a state representative and served a couple terms as state House speaker, and it’s no secret he’s had a tough time since finding another political post. Romanoff failed to knock off fellow Democrat, U.S. Sen. Michael Bennet in a primary for that seat. Then, Romanoff lost to Republican Mike Coffman in the 6th congressional district race. With the field to challenge Gardner steadily growing, Romanoff’s strategy for victory is shaping up to just be the last man standing after a Democratic bloodbath of a primary. Mike Johnston, who lost to Gov. Polis in last year’s Democratic primary for governor, threw his hat into the ring last week to challenge Gardner. It’s also no secret that Gov. Hickenlooper’s back-up job plan, once his presidential primary gig crashes and burns, is to challenge Gardner. U.S. Rep. Ed Perlmutter is rumored to be looking for a swift House exit after angering many of his own party members for creating the blueprint for Nancy Pelosi’s ascension to House Speaker. He’s being mentioned as a possible contender for the Democratic nomination, along with state House Speaker Crisanta Duran and former U.S. Attorney John Walsh. Democrats are banking on Gardner facing a tough reelection battle because of President Trump. 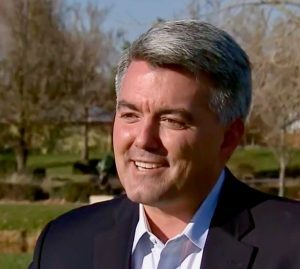 There’s no doubt all of them will be campaigning against Trump, rather than Gardner who has worked hard for Coloradans and has a solid record. liberal Democrats have taken with their newfound control of the state legislature, as well as the U.S. House, we suspect independents will decide the pendulum has swung too far left and they’ll want to keep Gardner in the U.S. Senate.